Why are Russia’s journalists so prone to conspiracy theory? “A coincidence? I don’t think so!” – the calling-card response of Dmitry Kiselyov, host of Russia’s prime-time news show and director of Russia Today, has long become a conspiracy meme on the Russian internet. It also reflects the rise of conspiracy theory in Russian media. Nowadays, Russian state television channels frequently expose the “criminal” activities of domestic NGOs, the “foreign agents” working to subvert the Russian state. Prominent anti-corruption campaigner and opposition politician Aleksei Navalny is declared to be agent of all western security services. Russia, it seems, is being forced to defend itself from the “information war” unleashed by Washington and Brussels. Talk shows and news bulletins constantly rotate a cast of experts who explain, their voices faltering with emotion, how the US is secretly controlling the world. My research into conspiracy theory demonstrates that Russia is far from the only country in the world where conspiracy theories are popular. In the US, sometimes referred to as the “empire of conspiracy”, conspiracy theories have been a part of national cultural tradition since the 17th century. But these theories rarely make it into the mainstream of American journalism — let alone politics. How has mainstream Russian media degraded to this tabloid state, channeling information that would otherwise (if at all) rarely make it onto the front page? Where does the “paranoid style” in post-Soviet journalism come from, and how can we explain the media’s phenomenal demand for conspiracy today? Conspiracy theories, regardless of their apparent lunacy, are not as marginal as they might seem. The figure of the marginal, paranoid individual who sees the intersection of secret plans and mechanisms of controlling the world everywhere first appeared in American academic literature in the 1950s, at the height of McCarthyism. Indeed, the “witch hunts” of the 1940s and 1950s turned these otherwise unpleasant individuals, who saw “commies” everywhere, into popular figures. Together with his followers, Joseph McCarthy opened up a campaign against communists, in the process destroying the careers of people in Hollywood and politics, and fostering the creation of an atmosphere of fear. Several years later, McCarthy himself lost his seat in the Senate thanks to the efforts of journalists, and the hysteria subsided. The TV host Edward Murrow, among others, criticised McCarthy’s political manipulations of fact — this was the beginning of the end of the senator’s career. 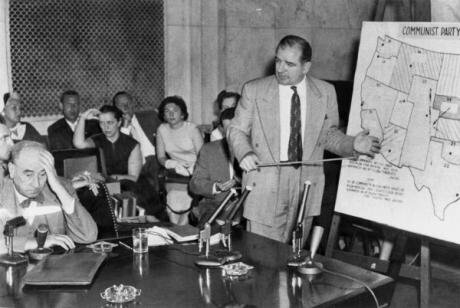 1954: Joseph McCarthy questioning Joe Welch. Credit: United States Senate (Public domain). Some rights reserved.Here, it seemed, American society learnt its lesson. After the McCarthy era, a politician who openly professed conspiratorial ideas could not hope to make a career. The public accusation that someone believes in conspiracy theory could destroy a reputation. The past 30 years have seen this trend change: conspiracy theories have become part of popular culture. Thanks to books and films, the sense that the “truth is out there” has become a completely normal feeling for a whole generation of American and Russian citizens. Academics have come to see conspiracy theory as a particular, but nevertheless legitimate phenomenon of contemporary culture — one that charts the reaction of the modern individual to a changing world. Tragic events now create dozens of conspiratorial interpretations at the click of a button, demonstrating our inability to accept the fact that the world has become too complex, and state institutions - too opaque. Interpreting events through conspiracy is a way of explaining (mostly to oneself) why power is distributed between ordinary people and elites so unequally. Today, “conspiratorial” versions of one event or another have begun to be perceived — whether in Russia or America — as a natural part of the range of opinions, which not only define the discursive framework of a problem, but which demonstrate potential sources of conflict in society. Of course, societies find the means to solve these conflicts with reference to existing political and cultural traditions. In the US, most often through public discussion; in Russia, through manipulating society’s fears for political aims. Despite the fact that conspiracy theories have acquired a certain legitimacy in society, conspiracy theory’s main principle (“every event is connected, and if my argument doesn’t work, I should look for a conspiracy”) is at odds with the codes of both professional journalists and researchers. Presenting evidence, checking information through several, preferably anonymous, sources, a clear and logical chain of explication – these are the basics of any journalistic investigation. By contrast, conspiracy theory has a pseudo-scientific method at its core. Similar to researchers, conspiracy theorists analyse various sources of information, but, in contrast, always know what their final conclusion will be: the world is controlled by an all-powerful secret organisation. Any argument can be used to prove the existence of a conspiracy. The belief that everything in the world can be both controlled and planned contradicts everyday experience and critical thinking — the basis of professional journalism. Indeed, tabloid journalism is the space where conspiracy theories bloom. Sensational headlines, which aim to win over as big an audience (and profit) as possible; unchecked information received from doubtful sources; the speed of publication, which harms quality and credibility of the material — all these factors aid the spread of conspiratorial ideas. April 2016: Dmitry Kiselyov accuses anti-corruption campaigner Alexei Navalny of criminal conspiracy with Bill Browder, a former US citizen and investment manager. Source: vesti.ru.On the other hand, professional journalism, which appeared largely in response to the popularity of the tabloids, emphasises its service to the public good. Clear journalistic standards, spread through professional organisations, helps to avoid unchecked or false information getting into print. Moreover, developed reputation and libel laws, the practice of which might often be flawed, prevent media in the west from spreading conspiracy theories. Cultural theorist Jack Bratich, for instance, suggests that professional journalism has created its own “regime of truth” that prevents conspiracy theories from entering the public sphere. But, as the story of journalist Gary Webb tragically shows, even respected journalists can earn the reputation of being conspiracy theorists if they violate that regime. In contrast to the US, in Russian journalism, ethical standards are a rare beast. But it is following clear professional guidelines that allows journalists to separate fact and evidence from emotion and exaggeration — the constant threat of conspiracy theory. In the Soviet Union, journalism was made to serve ideology: the principles and aims of Soviet journalists were very different from their American colleagues. People began to speak of professional standards for the first time during perestroika, when a congress of the Union of Journalists established a code of professional ethics. Several years later, in 1994, a “Code of Professional Ethics” for the Union of Journalists of Russia and the “Moscow Charter of Journalists” were published, which defined the principles of professional work. Few people followed them. What’s more, soon after these principles were announced, Russia’s journalists came to face a new challenge — the 1996 presidential elections. Many of Russia’s leading journalists — people who could have served as examples for the rest of the country — actively joined Yeltsin’s “Vote or lose” campaign, the anti-communist electioneering that dominated the lead-up to the vote. Clearly propagandistic, this campaign led Russian society to lose its trust in the journalistic profession. After Yeltsin’s victory, the “information wars” of the late 1990s were the nail in the coffin for professional principles. This period saw Russia’s media market carved up between the oligarchs, who used media outlets for their own economic and political ends. "Programme: Maximum" on NTV regularly mixes tabloid criminal and celebrity journalism with conspiracy. Source: maximum.ntv.Indeed, Russian television’s gradual slide into the tabloid style coincided with increasing political control over the media. Take “Programme Maximum”, a popular tabloid conspiracy news show on national broadcaster NTV, for example. 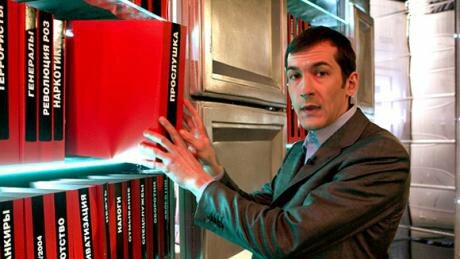 This show, which claims “to show everything that’s hidden”, was dreamt up soon after NTV’s leading liberal journalist Leonid Parfyonov was fired from the channel in 2004. “Maximum” thus came as the final death knell for NTV’s independent credentials. Back in 2000, Gazprom Media had seized the channel in response to its critical coverage of President Putin. The tabloid — and paranoid — turn in Russian media that followed can only be understood as part of the increasing political control of the press, and television, in particular. Sensationalist stories about the cosmos, magi, aliens and espionage wars against the motherland became not only a popular format for the Russian press, but a political instrument. After all, conspiracy theory is a powerful and effective way of ruining the reputation and legitimacy of an individual or organisation. Conspiracy news programmes, such as “Extreme event: investigation” or “Special correspondent”, became popular not only for their scandals, but because they responded to political demand. They followed the serious crisis of legitimacy faced by the Kremlin after the 2011-2012 election cycle. 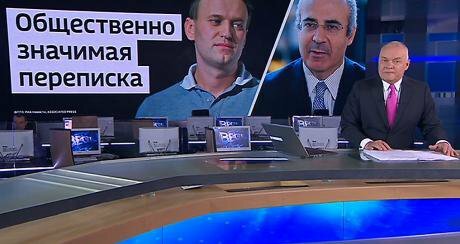 The authorities and top management of TV channels turned to conspiracy TV to polarise Russian society between supporters of the current regime and its opponents. Every programme is an accusation against the opponents of the Russian state, who are part of a conspiracy against Russia. The image of opposition politicians or organisations is thus distorted, and the authorities’ task — to convince the Russian public of their reliability — is made easier. This means that the authorities, as they deal with their political and ideological opponents, are — with the help of journalists — spreading all kinds of stories in order to preserve the political regime. The programmes that expose the “enemies of Russia” are, in essence, the logical result of 30 years of developing Russian journalism according to the principle “We won’t let the facts spoil a good story”. People believe that the Kremlin strictly controls what Russian media publish. In fact, Russian journalists have much more freedom than it appears at first glance. The desire to raise ratings, satisfy media managers and public officials, and make a career has led to dubious, albeit entertaining stories increasingly becoming part of the mainstream. The absence of professional standards only smoothes the way. It’s hard to say whether there’s a way out of this situation. The Russian media landscape is home to several federal outlets, such as BBC Russian Service, Deutsche Welle and other Russian services of western media, as well as Vedomosti, Forbes Russia, and RBK, that have clearly formulated journalistic principles. For these outlets, professional standards are not only a means of self-identification, but a means of keeping audiences loyal and increasing profit. 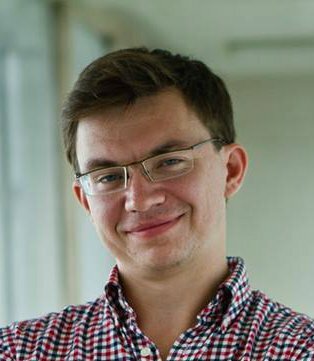 Vasily Gatov, a media manager and publisher, believes that as Russian media evolves from traditional into digital platforms, the credibility of the material they produce will decline. As a result, Russia’s public sphere might degrade completely, transforming into a space where conspiracy theories will not only be part of the mainstream, but everyday life. For researchers like me, this will be an interesting project. For Russian society, it will be destructive.